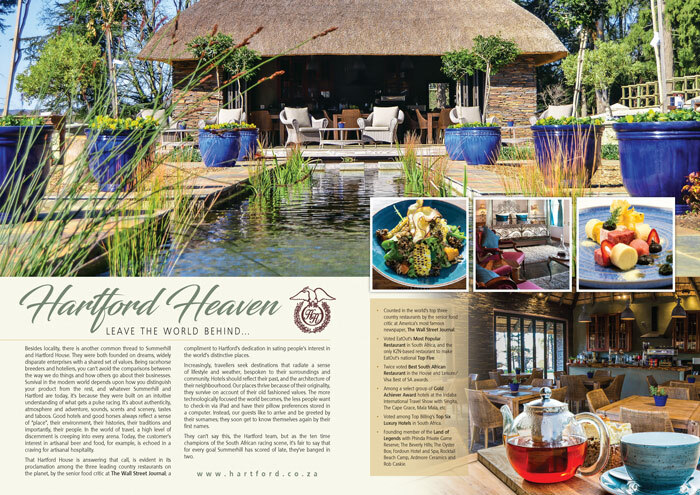 Twice voted Best South African Restaurant in the House and Leisure/Visa Best of SA awards. Founding member of the Land Of Legends with Phinda Private Game Reserve; The Beverley Hills; The Oyster Box; Fordoun Hotel and Spa; Rocktail Beach Camp; Ardmore Ceramics and Rob Caskie. 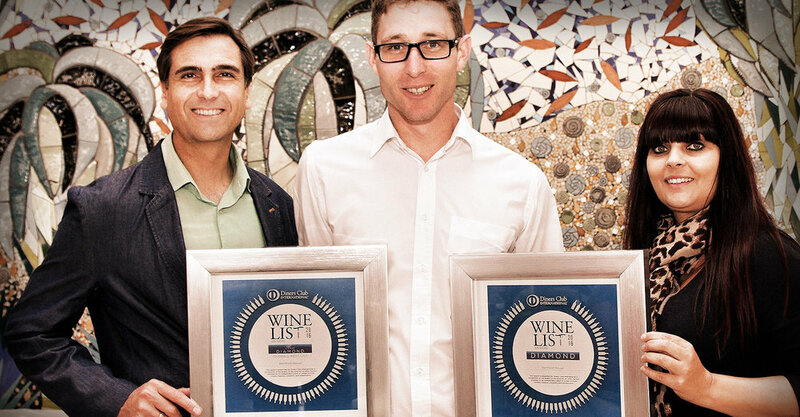 Just a month ago, for a record eighth year in succession, General Manager Duncan Bruce and Head Chef, Constantijn Hahndiek waltzed up to collect their Diners’ Club Diamond Winelist Award. But that wasn’t the end of it; for the second year in three, they won the regional award comprising all restaurants in the combined KZN and Eastern Cape provinces, which placed them squarely in the top three nationally (South Africa is divided into three regions for this purpose), and while there’s no “shoot-out” for the country’s number one winelist, “top three” will do for the remotest nationally-acclaimed eatery in the land. 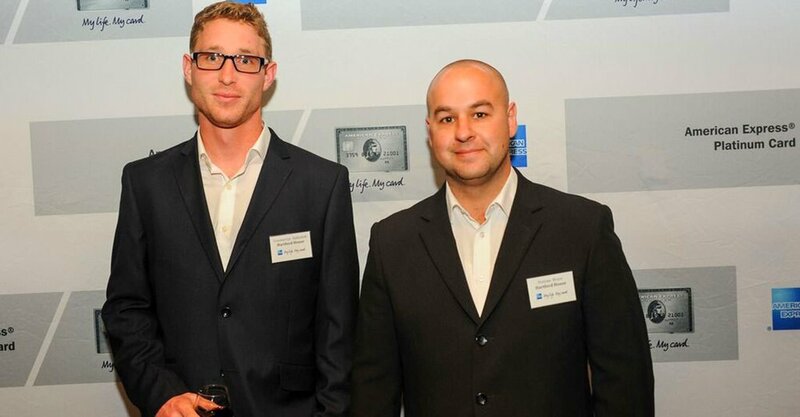 Hartford House Head Chef Constantijn Hahndiek and General Manager Duncan Bruce at the American Express Platinum Fine Dining Awards. This past Monday evening, Hartford was honoured once again (for the 12th year in a row) by the annual American Express Platinum Fine Dining Restaurant Awards at a glittering affair at one of Joburg’s “innest” restaurants, “Marble”. Convened these days by the esteemed food guru, Anna Trapido, she has stepped into the more than ample shoes of the former convenor, Victor Strugo for a company Warren Buffet considered right up his investment street; though Strugo possessed a host of other qualifications, he carved a side-line profession out of his literary talents as well as his God-given intuition for all things culinary. While their histories and backgrounds are about as diverse as those of a rhino and a giraffe, American Express is fortunate in the line of succession it’s inherited in these two doyens of their craft, which is principally why these awards have maintained their prestigious currency for so long. What lies ahead now, following a bevy of recent visits by their judges, is whether in his first year of eligibility, Chef Hahndiek’s restaurant will manage a ranking among Eat Out’s Top Twenty finalists for the best restaurants in the country. They’ll know their fate before the end of the month. For the time being though, you’ll understand why Summerhill concedes a 2-1 goal advantage.